“Everest” the tallest mountain in the world, with a summit at the same height as a cruising 747, why would you risk your life to attempt to stand at the very peak? To others with a mentality of “it’s just there to be climbed”, reaching the summit becomes a personal obsession, bordering on lunacy. Some 250 people have died attempting to summit the mountain, some still left behind as markers and a sobering reminder as people climb. Whilst arguably not the most dangerous mountain to climb, certainly the most infamous. During he last dash to the top, climbers are effectively entering the “Death Zone”, an area where your body starts to die as humans are not designed to operate at such altitude. If you encounter difficulties or get trapped due to weather, you might as well be on the moon, nobody can help you. Mountaineering companies have spring up to provide guided climbs to those less experienced. Arguably increasing the risk as those less qualified attempt to summit with the benefit of better equipment, experienced guides and Sherpas. In May 1996, once such group was led by the likeable and easy going Kiwi “Rob Hall” (Jason Clarke), shepherding a disparate group of characters up the mountain for money. Lots of money in some cases, much less for others. Rob leaves behind in New Zealand his pregnant wife Jan (Keira Knightly) and promises to return soon. The film gradually pulls the group together, the film setting them in actual base camp locations in Nepal, adding much needed authenticity. The climbers are an eclectic bunch, Texan (Josh Brolin), Doug Hansen (John Hawkes), Yasuko Namba (Naoko Mori). Also along for the ride is journalist Jon Krakauer (Michael Kelly) and and co-guide Andy “Harold” Harris (Martin Henderson). The camp is also populated with base organiser Helen Wilton (Emily Watson) and their friend/co-worker Guy Cotter (Sam Worthington). 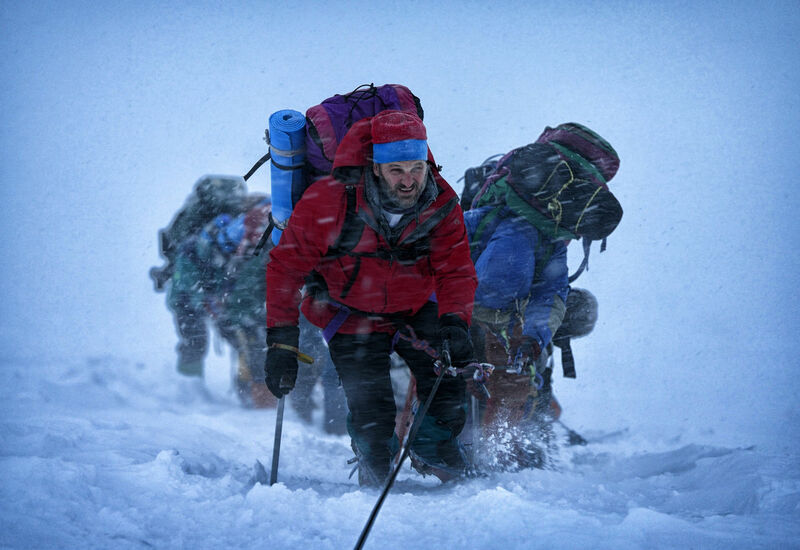 The team “compete” for resource and mountain access against other climbing teams including the mildly eccentric guide “Scott Fisher” (Jake Gyllenhaal). One criticism would be there are many cast members and it is difficult to keep track who is who and where they are, as most are by necessity well covered up for much of the film. The film does a good job of slowly moving an ordinary expedition into disaster territory, as the ever changing weather changes the situation dramatically. Stage work coupled with location shooting in both Nepal and the Dolomites adds enough authenticity to make the story feel real. Acting is strong and the closing scenes undoubtedly add additional heft to this very real true story, Knightley in particular carrying off a very passable (and tricky) Kiwi accent, in the touching closing scenes. Making a film about a true life story is always difficult, change too much and lose the veracity, follow too closely and cinematic licence can be lost. Director Baltasar Kormakur has managed to find a middle ground that works. To the uninitiated the story highlights why people are driven to such lengths and arguably the “selfishness” of some of those involved. Like any endeavour there is always a cause and effect, arguably some not always balancing those risk/rewards well against what they already have. Not perfect but a fine re-telling of a tragic tale arguably done as well as it could without climbing Everest camera crew in tow, clearly not an option.